China’s lunar lander has just woken up from a two-week-long hibernation on the far side of the moon, and recorded temperatures as low as 190° C (-310° F) during its first lunar night, according to the China National Space Administration (CNSA). This was lower than those experienced by previous US missions to the near side of the moon, said Zhang He, executive director of the Chang’e-4 mission, to Xinhua news agency. “That’s probably due to the difference in lunar soil composition between the two sides of the moon,” he said. Read more for another video and additional information. 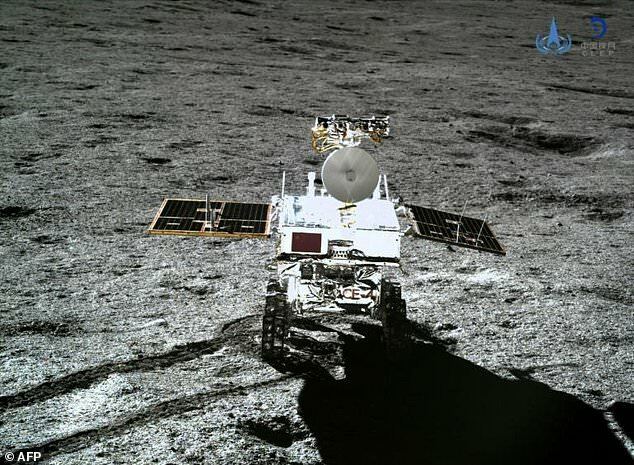 “A rover released from the probe — dubbed Yutu-2 (Jade Rabbit) after the moon goddess’s pet — also resumed operations ‘as planned’ on January 29 and will perform experiments in the Von Karman Crater, CNSA said in a statement. Chang’e-4 is equipped with instruments developed by scientists from Sweden, Germany and China,” reports Daily Mail.